Remember the days where shipping costs used to cost an absolute fortune? You would have a cart full of items that you were itching to pay for, then the shipping costs would be added and suddenly your items were no longer a bargain. Then Amazon decided to offer free shipping on items over $35 which was a real game changer, suddenly it made financial sense to bulk order items, or to group them together into one order. This suited people purchasing supplements as you could bulk order a stack all in one go and pay $0 shipping. And if this wasn’t enough, Amazon Prime became a reality and the whole online world was changed forever. Now you could get free, next-day delivery on items that were as cheap as $10 (or less). This decision was a master stroke because it encouraged people to order the Amazon product rather than the slightly cheaper marketplace versions (which did not come with free next-day delivery). Amazon realized that factoring delivery into the price of the item, rather than charging separately would make shoppers more likely to buy. They also realized that shoppers would be more likely to add in extras, therefore keeping the customer happy, and the retailer. But where does that leave Amazon’s competition? Well, the market has been painfully slow to catch up to Amazon here, partly because most companies aren’t anywhere near as successful as Amazon. This means that they don’t have the money nor the logistics to manage this. But companies are beginning to dip their toe in the water. Bodybuilding.com has been used to being the number one stop for supplements for as long as most people remember. But due to Amazon’s cheaper and cheaper shipping offers many long-term customers were beginning to switch allegiance. It wasn’t so much that Amazon was selling supplements cheaper, nor that they had a better selection, but thanks to free next day delivery you could order a tub of protein powder while surfing for a new Blu-ray or for the latest bestselling novel. It’s the diversity of products available that made Amazon such a good shop in the first place, add in free delivery and it began to seem a better option than Bodybuilding.com. But now Bodybuilding.com has fought back and has decided to offer free shipping for orders over $49 for brands that participate in the B-ELITE program. All you need to do is look for the B-ELITE logo next to the product name. Each order over $49 of B-ELITE products scores free shipping! This may not seem as generous, but $49 would only get you one tub of protein powder and a new shaker, so for bulk orders this is essentially free delivery! The bad news is that not all your supplement brands are participating in this program, the good news is that all the major brands are now part of the B-ELITE program and the list is growing. The trick with this type of deal is to try not to let it influence your purchasing habits too much. Just because delivery is free doesn’t mean you should buy 5 tubs of chocolate protein powder. Have an idea of what you want before clicking on the site, and try to stick to it. If your order comes in at $50-55 then you have successfully gamed the system slightly. If your order is $200 then you may have been influenced by the deal. This latest move by Bodybuilding.com is great news for supplement buyers no matter where they shop, if you think that Amazon won’t respond to this in the future then you are being very naïve. They will either find a way to lower their prices, increase their variety of supplements, or potentially bring out their own product line. 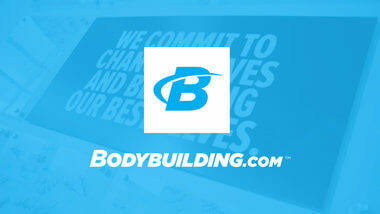 Then Bodybuilding.com may have to respond again, with each new move benefiting the consumer. Other supplement websites may be forced to respond too, and it could be the case that in 5 years or so shipping fees will be a thing of the past. So embrace this and get shopping! As always stay tuned for the latest supplement deals and offers, we’ll also keep you abreast of any big changes in the supplement world.